The exhibition is a contemporary multimedia museum project, inspired by the 160th anniversary of the birth of the outstanding scientist. The major part of the estate of a well-known physicist, astronomer and Rector of Belgrade University, preserved until in the Museum, has been presented for the first time, with the aim of reminding the public of the life and deeds of a man who devoted his life and work to the popularization of science and putting its achievements at the service of the Serbian people. Djordje Stanojević was the pioneer of the electrification and industrialization of Serbia, a great benefactor and founder, the author of the first Serbian scientific papers on astrophysics, and author of the first colour photograph in Serbia – “Little Gypsy Boy with violin”. Thanks to Professor Stanojević’s knowledge of the use of electricity and the advantages of electrification, as well as to his dedication, Belgrade was electrified in 1893. A thermal power plant was opened in Belgrade only twelve years after the first power plant in the world, thus ranking Belgrade among the first capitals to use electricity for lighting and trams. 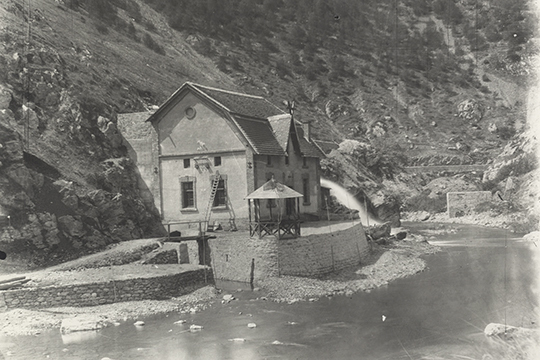 He also designed the first hydroelectric power plants that implemented the Teslin Polyphase System on the River Djetinja near Užice, on the Vučjanka in Vučje, on the Nišava and other rivers, many of which still operate at present. The exhibition includes museum objects collected over several decades and gathered in a separate museum fund: his personal belongings and archivalia, his photographs of people, landscapes, cities and buildings, as well as glass positives and negatives of the Sun. With the reconstruction of Professor Stanojević’s study, visitors have an opportunity to feel the atmosphere in which he worked, to find out about his friendship and cooperation with Nikola Tesla, and to learn about the correspondence between his wife, Stana Bogićević, and Queen Nathalie Obrenović, whose lady-in-waiting she was. Especially attractive are the light and volumetric installations designed by Borjan Pobrić, which in a contemporary way illustrate the importance of Stanojević’s work in helping foster dynamic economic growth and the emancipation of Serbian society at the end of the 19th and beginning of the 20th centuries. 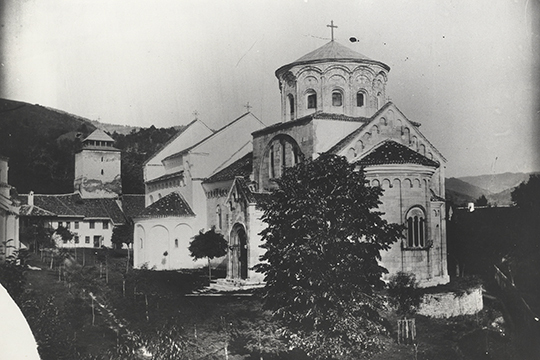 The exhibition has been supported by numerous institutions: the Nikola Tesla Museum, the National Library of Serbia, the Historical Archive in Negotin, the City Museum of Belgrade and others. The exhibition is open until the end of September 2018. The winners of a quiz, to be organized during the exhibition, will get their own wet plate collodion photograph. Guided tours are organized every Wednesday at 5 p.m.
Group visits can be scheduled by telephoning (011) 3287–242.